When you think of sports injuries, you probably think of joint damage or broken bones, but damage to the teeth also accounts for a large number of sports-related injuries. Any sport, especially high contact sports such as football, hockey and soccer can put players at high risk of getting jaw injuries and chipped, broken or completely knocked out teeth. Just like any other injury, it’s important to trust sports-related dental problems to a professional who is trained specifically to treat them. Dr. Gottlieb’s expertise goes beyond routine or cosmetic dentistry to cover the field of sports dentistry. He routinely treats many professional, college, and high school athletes, as well as individuals who participate in sports for fun and to maintain a healthy lifestyle. Protecting your teeth or those of young athletes begins as with any patient by doing a comprehensive examination, taking X-rays and treating any routine dental problems. Part of the overall plan is to then fabricate a custom-fitted mouth guard to protect the teeth from injury. If an injury occurs, however, we offer immediate care. Please make sure the staff person who answers our phone is aware of the extent of the injury when you call. There are other secondary aspects of sports dentistry that we treat. For example, smokeless tobacco often is associated with certain sports and, as with any use of tobacco products, users need to be educated about its dangerous properties. Eating disorders in athletes are another problem that can be detected in dental examinations. Symptoms of anorexia or bulimia often-times can be seen in the erosion patterns on tooth surfaces that occur as a result of regurgitation of stomach acids. We treat these situations discreetly and may also need to refer individuals to the proper medical health professional. Mouth guards should be considered an important part of the protective equipment used in any contact sport at all ages and skill levels. They will aid in protecting the lips, tongue, teeth and jaw. 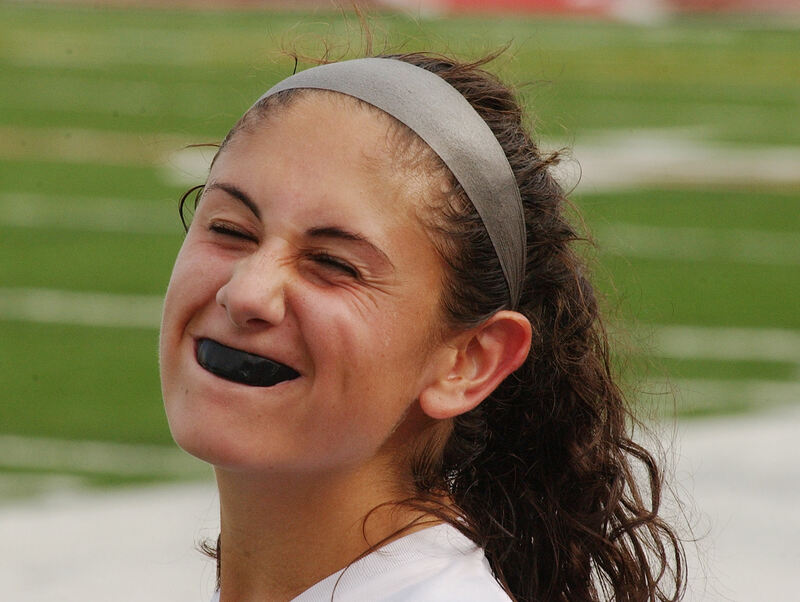 Over-the-counter mouth guards frequently are used, but offer only a basic level of protection, do not fit well, and are uncomfortable. On the other hand, a custom-designed guard is made from a model of your mouth in order to accurately fit your teeth, allow you to speak and breathe better, and still provide the level of protection you need. Remember, it will always be less expensive to invest in a good mouth guard than it will be to repair or replace damaged teeth.